I haven’t said anything yet about Trump’s choice for VP, Mike Pence. 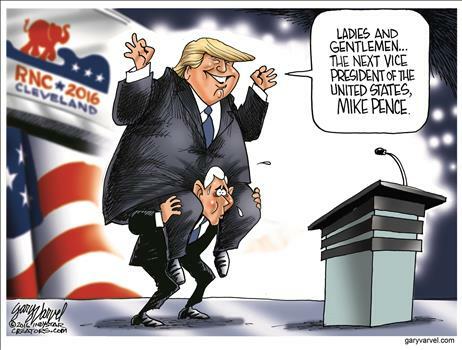 What was Trump looking for in a VP? Apparently, he wanted someone who, unlike himself, had been in politics for a long time and knows how to navigate in Congress. He also needed someone who would bring conservative Christians and other “social issues” people on board. He hoped Pence would be a bridge to help bring unity (even though unity doesn’t seem to be his overriding preoccupation at any time). 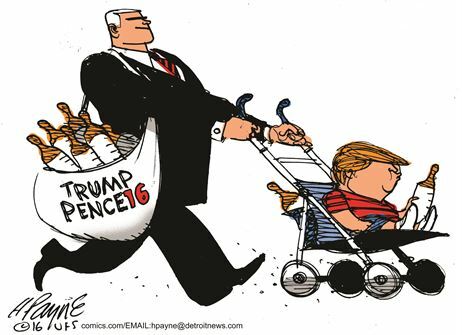 Pence has a solid history as a constitutional conservative coming at politics from his Christian faith. As a congressman, he was tried and true on policy, particularly his 100% pro-life record. 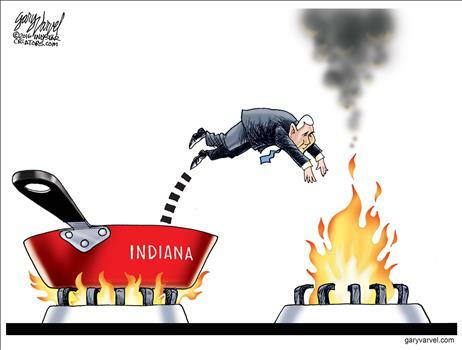 As governor of Indiana, he certainly remained a conservative, but some cracks in the armor showed through, especially when the legislature passed a religious liberty bill that would ensure Christians in business wouldn’t have to violate their consciences and bow to the LBGT agenda. The bill was fine as it was, but the political pressure caused Pence to weaken it; he disappointed Christians with what looked like a caving in to pressure. Yet, even with that misstep, his addition to the ticket is a plus for those seeking some way to vote for Trump. It hasn’t swayed me, though. Is there any silver lining here? 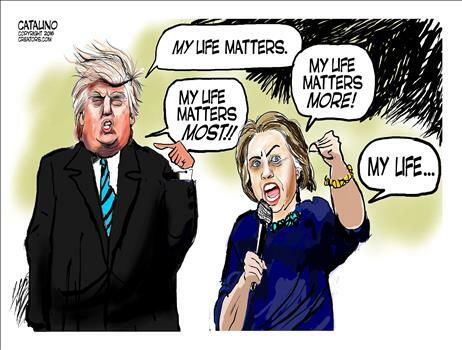 Well, if Trump somehow manages to pull this off and become president (pass the Pepto Bismol, please), there are two scenarios that give me hope. Scenario #1 is that he will be bored with the job and turn most of the responsibilities of the office over to Pence. 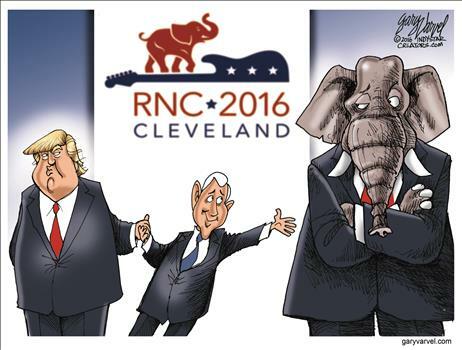 After all, according to reports, that was what he promised John Kasich if he would bow the knee and become the VP nominee. Scenario #2 is that Trump will be Trump and alienate so many people with his ongoing mental problems and policy swings that he might be impeached and removed from office. Then Pence can take over officially.